Climate scientists at Columbia University have developed a new, global hurricane model for estimating the long-term hazard of rare, high impact storms under different climate scenarios. The model uses a novel approach to efficiently simulate a large number of storms around the world, especially those that rapidly intensify, such as Hurricanes Maria, Irma and Harvey. The researchers hope the new system will lead to storm risk and hazard assessments for major cities. The project team, led by the International Research Institute for Climate and Society’s Chia-Ying Lee, will make the model open source when the work is completed. The scientists describe their methodology in a new paper in the Journal of Advances in Modeling Earth Systems. 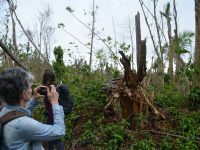 The 2017 Atlantic hurricane season was one the most destructive in U.S. history, causing more than $200 billion in damages before it officially ended on November 30. 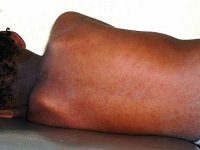 Hurricanes and tropical storms also tore through the Caribbean and Gulf Coast, devastating a number of island nations and territories. Like other hurricane models, this new one uses historical conditions to simulate a large number of realistic but synthetic storms–many more storms, in fact, than have actually occurred in the past 30 years. The top map shows historical tropical-cyclone tracks from 2000 to 2012. The bottom maps shows tracks for this same time period, simulated by the new model. Colors indicate storm intensity, red being the highest and blue the lowest. Most models that the private sector uses do this through purely statistical means, generating new storms based only on the tracks of historical ones. Such models can’t account for the large-scale environment in which each storm developed and evolved. 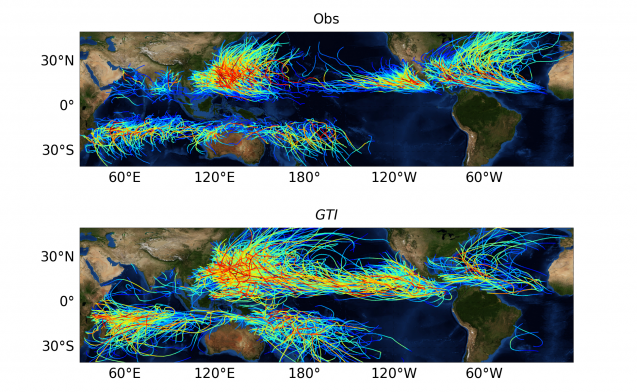 Global dynamical models, on the other hand – the kind used routinely for weather and climate prediction – can in principle simulate both the large-scale climate and tropical cyclones. Therefore, they can represent storm response to changing environmental conditions such as climate change. However, running these simulations at high enough resolution to represent the storms well is very expensive and time consuming. So the Columbia team drew inspiration from a hazard model developed a decade ago by Kerry Emanuel, at the Massachusetts Institute of Technology. His is a statistical-dynamical model, meaning that it uses a combination of physics and statistics to simulate each synthetic storm. 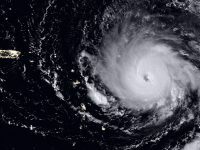 The model that Lee and her colleagues have created draws on this hybrid statistical-dynamical approach, but predicts storm intensity in a new way, incorporating a methodology the team developed in 2016 that captures the frequency of major storms such as Hurricane Maria and the way they rapidly intensify. Their modeling method is also very efficient at simulating a large number of storms around the world, which allows for comprehensive hazard assessments. Governments, financial institutions, nongovernmental organizations and even individual households stand to benefit from improved hazard assessment. For example, institutions can generate probability maps that show the odds that different places will experience a major hurricane in the next year, says Chia-Ying Lee. “We’ll also be able to generate local hazard assessments centered on individual cities, and these can potentially be put on interactive websites with public access. When the project ends in 2020, anyone will be able to download and run the model. Sobel hopes that this will stimulate others to help improve on their work. The group is currently plugging in historical data generated from a range of global climate models to see how well they can reproduce past hurricane seasons. This understanding will allow them to adjust the model to simulate future hurricane seasons. They plan to report these results in an upcoming paper. The research was supported by the New York State Energy Research and Development Authority under the research grant NYSERDA 103862, as well as funding from the Office of Naval Research under the grant MURI (N00014-16-1-2073).